Save teachers time & reduce workload with our data rich seating plans. Improve pupil behaviour with our fast and effective behaviour management. Our behaviour management is driven by Artificial Intelligence. Monitor and motivate pupils with behaviour management in 2 easy clicks. Instant reports for teachers, form tutors, pastoral teams and SLT. Sharable with parents and pupils via our apps. Class Charts has been designed by a teacher with 16 years of experience in the classroom. We know how important it is that software is simple and easy to use for your teaching team and understand the need for SLT to have a powerful reporting engine which gives them the information they need in seconds. 100% of our schools who were Ofsted rated Requires Improvement for Personal development, behaviour and welfare improved to Good at their next inspection. Class Charts is so easy to use that we see an increase in achievement points of over 400% once a school comes on board. Talk to us about how Acklam Grange School reduced their fixed term exclusions from 4 per week to just 2 in total for the whole year. Based on a teacher having 10 classes and changing their seating plan once per term the time saving is obvious and increases further with our behaviour management. Everyone needs a unique selling point and ours is that we are the only people who can actually identify how pupils influence each other in the classroom. 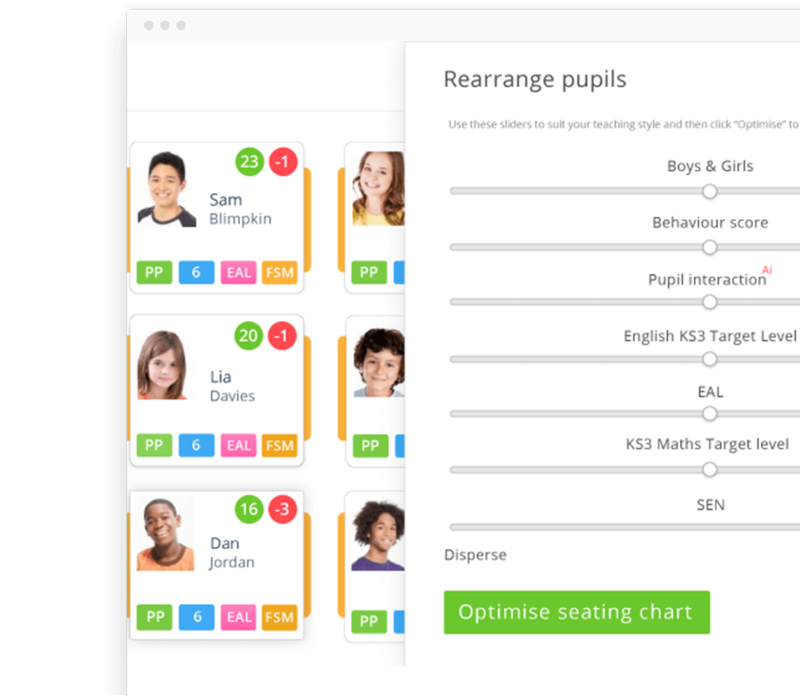 NQTs, supply & cover teachers will love how our AI engine automatically suggests seating plans optimised for learning & behaviour. We love what we do and think you will too! Watch this video for an overview of how we roll. Why do so many schools use Class Charts? It is astonishing how well staff have bought into it! The students are loving it and it is useful to see where our problem areas are after only a week. 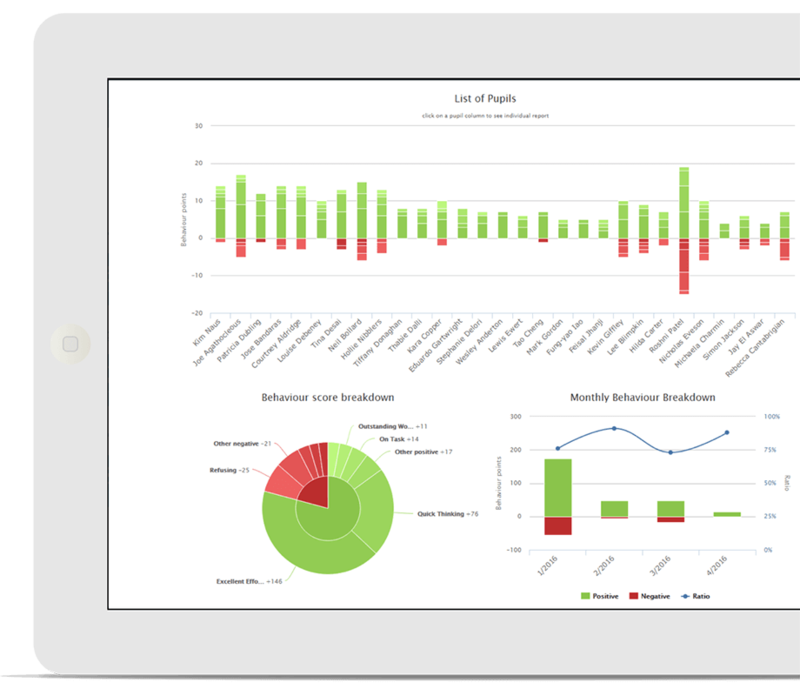 Class Charts is more than just a seating plan tool and it is developing into a critical system for the management of poor behaviour and rewards. I cannot recommend this product or Edukey enough. The visual representation of the data really helps a teacher plan and organise the room to maximise learning opportunities and, if required, make changes quickly and easily. A real winner! Eighteen months ago we were about four exclusions a week on average, currently we’re now down to two exclusions so far this year, the whole year. We introduced Class Charts at St-Annes at the beginning of this academic year. 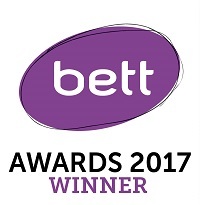 It was really well received by staff and is being used to provide data-rich seating plans which saves time and makes data more readily available for day-to-day use in planning and differentiation. Senior leaders are effectively improving students’ behaviour and achievement. Leaders are now using the online system for gathering information about students' behaviour in class ("class charts") more tactically. Duncan, we have been really happy with Class Charts. It is very user friendly and the staff have been pleased with it. All inspectors were given a printed classcharts seating plan as they came in which enabled them to do their job effectively, and helped our staff to show how they manage and track all the students in each class. Let us show you how to save time, reduce teachers' workload and remove the big barriers to learning! Join over 180,000 other teachers already using Class Charts.